I got into my classroom for the first time today and started tackling my agenda board. 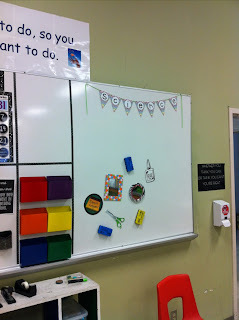 It has always been a very functional part of my daily classroom routine and students always know where to look for important information, but I was also wasting a lot of the valuable space. 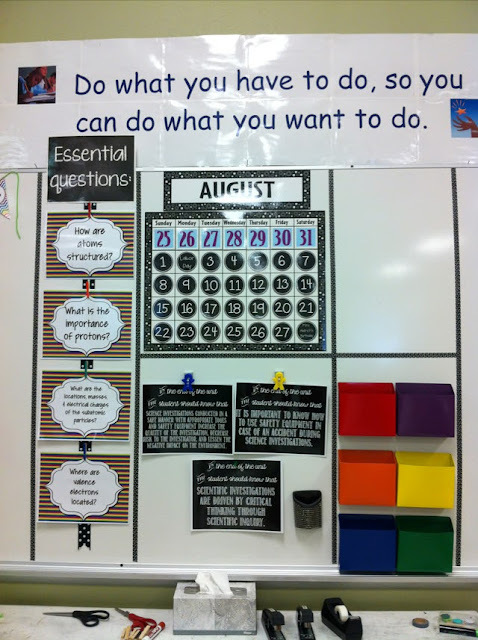 Our district has mandated that we display the daily objectives and how the students are going to successfully meet them. 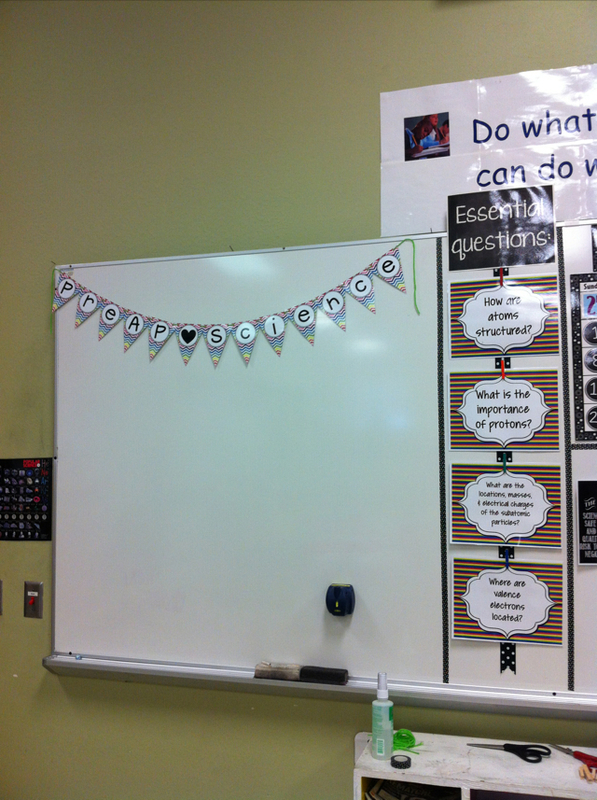 Honestly, I got tired of writing them every day (or every few days), so this summer I created some chalkboard poster signs. 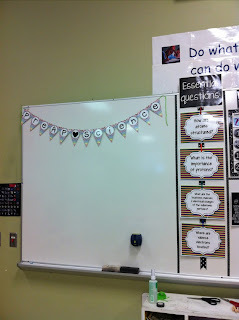 Now all I have to do is change them out (with some cute clothespins I am hot gluing to the whiteboard. Here are some sneak peeks...don't judge yet! I'm not done. I'll post as soon as it's completed. On the left side I write the Pre-AP Science daily agenda and the Regular Science agenda on the right side. Tomorrow, I am heading to Austin to be trained on becoming a district representative for TCTA (Texas Classroom Teachers Association). I am so honored they asked me to do it and I can't wait to meet up with some other Texas Teachers.